In this post I will re-examine another common “fact” about Sears homes that is frequently mentioned, but is incorrect. Did Sears really stop selling pre-cut homes in 1940? "If your home was not built between 1908 - 1940, it cannot be a Sears Home." "... by 1940, Sears stopped selling kit homes, as many people had lost their jobs and defaulted on their loans." In 1938, Sears sold $2.75 million of houses (over $43 million in today's dollars! ), but, nevertheless, Sears issued its last Modern Homes catalog in 1940. Despite oft-cited misinformation, the Sears Modern Homes division continued selling houses after the last catalog was issued. Most Modern Homes sales offices stayed open and Sears continued advertising its pre-cut homes in 1941 and 1942. In these years, Sears positioned itself in more of an advisory role. Ad from July 1941 in Waterloo, Iowa newspaper. Sears would assist potential home buyers through the process of obtaining financing (usually through FHA), selecting a contractor, and ordering all the building materials from Sears. In 1941, Sears said they had more than "60 up-to-date plans" from which to choose. Some of the houses being sold in 1941 and 1942 were from the 1940 Modern Homes catalog. Some were new models never seen before, such as the Gloucester, a simple ranch with an expandable second floor/attic. Sears Gloucester illustration and floor plan. Sears was also focusing more on their Home Club Plan developments during this time. As the defense industries ramped up for WWII, there was a strong home demand in industrial areas, particularly in New York and Northern New Jersey. In these Home Club Plan communities, Sears would work with local developers who would build a large number of new Sears pre-cut homes at one time. Some developers would allow modifications to the standard models, others would not. FHA would provide the financing, and the customer would not have to pay any legal fees or title and survey fees. These Home Club Plan developments were located in places like Sidney, NY, Cranford, NJ, North Plainfield, NJ, Briarcliff Manor, NY, Grandyle Village, NY, North Tonawanda, NY, and Elyria, OH. February 1942 ad for the Sears Home Club Plan in Elyria, Ohio . In the Cranford Home Club Colony, for example, the development was called Sunny Acres and consisted of 172 homes. The houses were built between 1940 and 1942. Buyers could get a four-room house for $4335 or a six-room house for $5250. Prices varied among the various colonies, but they were always under $7,000. 12 Iroquois, Cranford, New Jersey. House No. 7 from the Cranford, NJ development. Plans dated June 1940. Randolph Evans of New York City was the architect. In the Elyria Home Club Colony, the development consisted of 30 Sears homes on a single block. All homes were in the $6,000 range. 418 Cambridge Avenue, Elyria Ohio. Bad photo from Google Streetview of Cambridge Avenue in Elyria, Ohio. The block between Garford and Prospect contains dozens of Sears homes built throughout 1942. In Grandyle Village, NY, Sears had eight models for sale, each around $5,000. They constructed about 50 houses, many on Love Road. 1941 ads for the Grandyle Village Home Club Plan. In North Tonawanda, NY, Sears partnered with local banks and local contractors to build a block of homes on Lindsay Place. The development was called Lindsay Gardens, and the average home price was $5,000. The 200 block of Lindsay Place, North Tonawanda, New York. 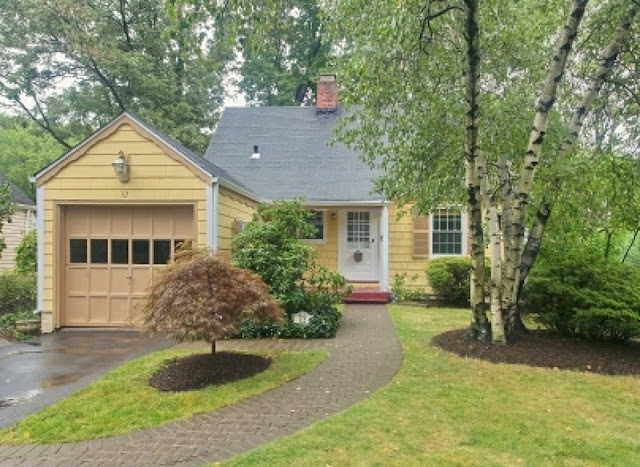 I believe this Cape Cod cottage was one of the Sears homes built in 1939. Sears planned other Home Club Plan developments in places like Larchmont, NY, and, Southbridge, MA, but these did not come to fruition--due to lack of sales, I presume. 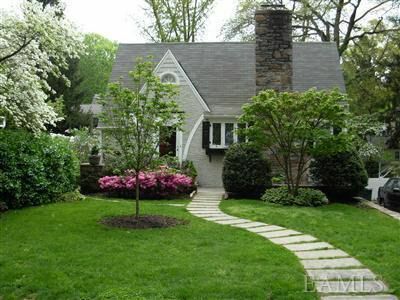 33 Coolidge Street, Larchmont, New York. Sears built this Strathmore model home in 1939 and planned to build many low-priced Sears homes in that area. Based on Google Streetview, it does not look like many were sold. Interestingly, the Strathmore was last offered in the Modern Homes catalog in 1937, so this also shows that Sears would bring back an "old" plan if the customer wanted to build it. Photo from Realtor site. 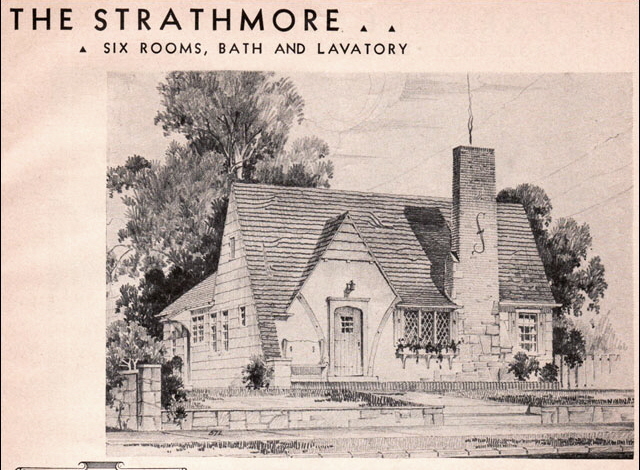 Sears Strathmore, from the 1936 Modern Homes catalog. Sears also continued to sell houses to corporate customers in the years after 1940. For example, there are 61 Sears houses in Hellertown, PA that were built in the early 1940's for workers at Bethlehem Steel. 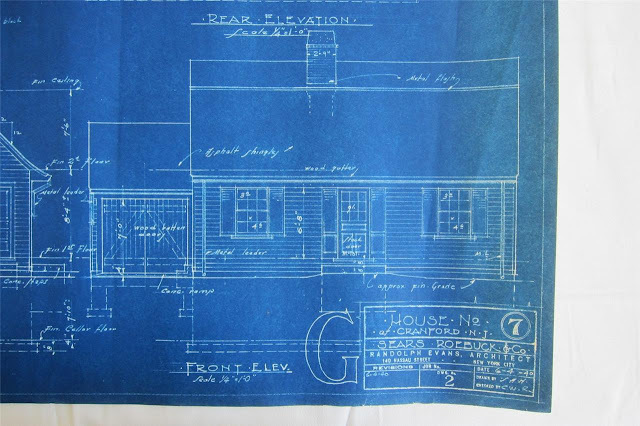 So if you suspect your house might be a kit from Sears, but it was built after 1940--it may be one! Why did Sears stop selling homes after 1942? Alls I can say is, SHUT UP!!! OMG!! How on earth did you discover this?? I am totally amazed!!! It makes me wonder if there is one of those neighborhoods in Cincinnati. Rebecca Hunter had listed in her book that 40 Sears homes were purchased by one person in 1939-1940, but I've never seen a whole neighborhood of Sears homes here. I'll have to put my detective hat on. Hi, Donna! It was weeks of newspaper research and good ol' Google Maps. I doubt there is another Home Club in Ohio. The development in Elyria was touted as the only one in the midwest. If there was one in Cincinnati, it would have been after 1942. Yes, Theresa, that is a Mayfield! I just looked it up on realtor.com. If you say the measurements match up to the inch, we have a winner!! The Mayfield was in the 1940 Modern Homes catalog, but the homeowners could have built it in 1940, 1941, or less likely, 1942. When you get moved in, please send me interior and exterior photos (and markings on the lumber if you find them). I'll be happy to feature your house on this website. Maybe you'll find a shipping label with a date. Awesome research Laura. 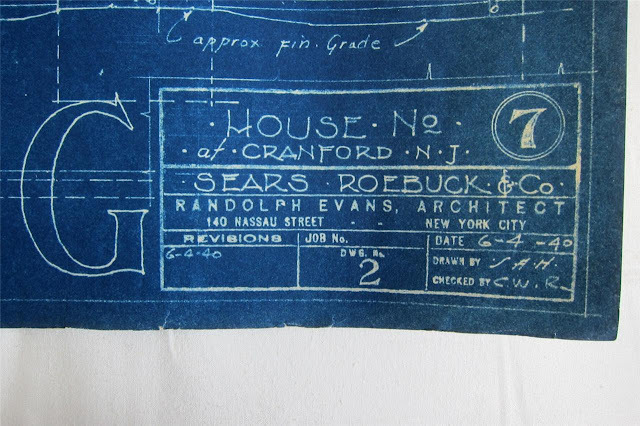 You're rewriting the book on the history of Sears homes. But those later Sears homes are next to impossible to identify! To add to my previous comment re: Brookhaven, GA: I did not find my house configuration in the Sears archive (http://www.searsarchives.com/homes/1933-1940.htm). (There are over 100 kit homes in this area from those 2-3 years alone, all of which were erected from the same small # of kits, though in the last 10 years several on my street alone have been torn down for new construction.) Perhaps ours hail from a different provider? We live in the house that my husband's grandfather built in 1955- it is the Nantucket model. The windows have now been upgraded to bay windows and he built a beautiful enclosed deck to the left of the house.. we are lucky enough to have pictures of the build.